In this video-based course, Barbara Jaenicke clearly shows and explains her methods in a simplified, logical order that all levels of artists will comprehend. Are you ready to move from simply replicating a landscape to creating more of a visual message? 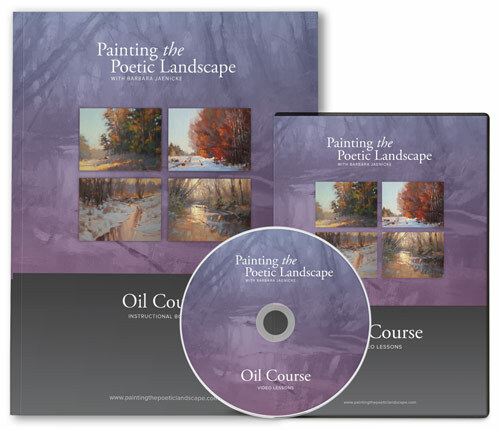 Painting the Poetic Landscape was designed for artists of all levels to experience the teaching of Barbara Jaenicke. 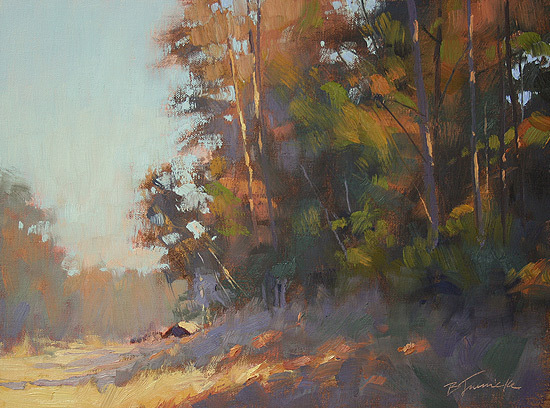 As an award-winning pastelist and oil painter, Barbara brings her years of teaching expertise to this course. Painting the Poetic Landscape is a video-based online course from Barbara Jaenicke that teaches the fundamentals of landscape painting. Each segment is built around a painting demonstration that highlights a unique core principal. 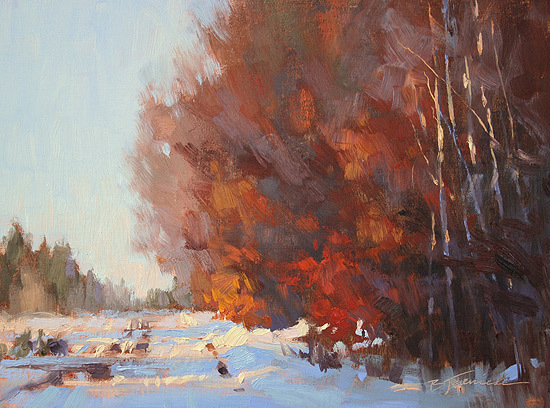 The videos are professionally shot and offer easy-to-follow exercises so you can build your landscape painting skills. You can choose between Oil and Pastel demonstrations. Instant access to over 16 high definition teaching videos. A 28-page instructional booklet is included with the course. Physical copies are also available as a DVD and printed booklet. You can watch the video lessons in a web browser, a tablet or even your phone. It’s the workshop that comes to you. After purchasing the course you’ll have instant access to the video teaching and downloadable .PDF lessons. 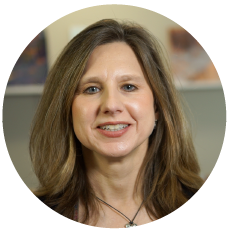 The course gives you a front row seat to over four hours of training by Barbara Jaenicke. You can look right over her shoulder from the comfort of your studio. Barbara Courtney Jaenicke (pronounced JAN-i-kee) loved to draw and paint as a teenager and decided at an early age to pursue an art career in one form or another. 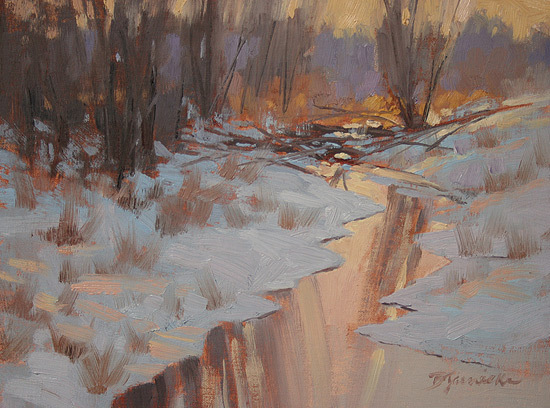 She received a Bachelor of Arts degree in 1986 from The College of New Jersey, taking as many fine art courses as she could, while also taking painting classes outside of her college studies. But with the desire to have a steady income right after college, she geared her education toward the commercial side and spent a little over a decade of her early career in advertising as an art director, then later shifted gears to a corporate role in marketing communications. In 2002, she was able to turn her focus to a career in fine art, pursuing it full steam ahead, and continues to do so with stubborn determination. After living in the Atlanta, Georgia area for 23 years, Barbara and her husband and son relocated in May of 2015 to Bend, Oregon. Primarily a landscape painter, she’s excited to now explore and paint the scenery of the northwest part of the country. 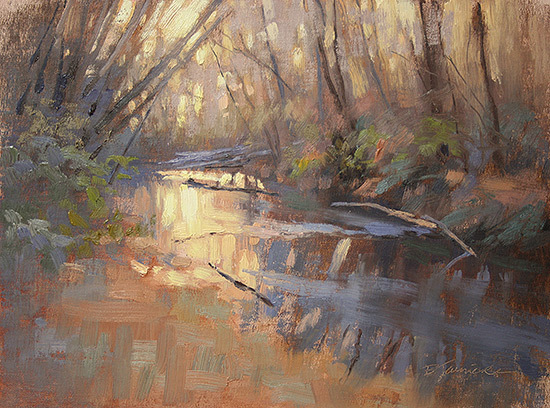 Barbara holds Signature Memberships in Oil Painters of America (OPA), American Impressionist Society (AIS) and the Pastel Society of America (PSA), is an International Association of Pastel Societies (IAPS) Eminent Pastelist, and is a popular workshop instructor throughout the US. ©2018, Barbara Jaenicke. All Rights Reserved.